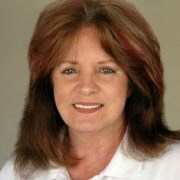 Hey, it's Carolyn Hansen. Thanks so much for for visiting today. But before you go, I'd like you to have something. I would hate for you to leave empty-handed, so I hope you'll use this opportunity to grab 20 Metabolism-Boosting Dessert And Snack Recipes for FREE right now. PLUS I'll tell you recipes like these allow you to crank your metabolism so that you can remain lean and form without having to sacrifice your desserts! 200 Fat-burning dessert & snack recipes. Not just possible, but delicious! Get access to the very same recipes my weight-conscious clients begged me to reveal! Please complete this form and click the button below to tell us where to send your receipt and product access. My name is Carolyn Hansen and I want to congratulate you for taking the time to read through the first portion of this letter (the 5 Mistakes With Desserts article on the home page). It summarizes what I believe is wrong with the desserts we eat today. Not surprisingly perhaps, I am now going to tell you how each one of the indicated problems can be fixed. That way there need never come a time when you feel compelled to deny yourself a dessert simply because of the fear that it might be fattening - or just plain unhealthy! That's yesterday's thinking and I insist you put it behind you. Take it from me, both your renewed appreciation of the delights your taste buds will soon afford you AND your regained cravings-free disposition toward food will provide more than enough reason to thank me later. But before I jump into the solution to the problem of fattening desserts allow me to take just a moment to tell you a little about my background. That way you can better understand just WHY it is that I bothered to spend years reformulating my diet to conform to the restrictions outlined in the first part of this letter. I certainly did not do it on a whim. I have been involved with the health and fitness industry for more than 30 years now, and over that time I have written thousands of articles and more ebooks on nutrition-related subjects than I can count. Nutrition, the principles of healthy eating, and efficient fat loss strategies are now etched into my bones. It has become my way of life, and also the way of life for many of my personal clients. I needed to be lean. But in the very early days I have to confess I had absolutely NO idea how to control my sweeth tooth. I was a victim to all of the cravings, mood swings, and hidden bingeing sessions that regularly destroyed both my self image and my physique. At the time I was an aspiring and practicing competitive bodybuilder. So every ounce of fat that crept onto my body wasn't just a frustrating reminder when I looked into my bathroom mirror of my failed attempts at dieting. Instead, every extra ounce seemed to magnify itself by a fact of TEN by the time I took the stage and bared my all to the world! If you have ever found yourself pressured to wear a flattering piece of clothing for a special event but then discovered with horror once you arrived that ripples and bulges were forming in places that no amount of false posture could ever disguise, then you know what it felt like to be up on that stage. It was the pressure of that public spotlight that drove me into my kitchen to find a better approach to food. Even so, I was absolutely determined not to give up my treats. Whether bodybuilding or not, there was only so much I was willing to sacrifice! Let me tell you, the road to enlightenment was a rocky one. Bad nutritional advice seemed to come at me from every direction. What we know about food today we certainly did not know back then! But eventually I made progress. I was able to figure out, just a little at a time, what the stumbling blocks were to sustained fat loss, and how to remove them so that I could lose weight WITHOUT having to deny my sweet tooth. Today, many years later, and as a result of the many new discoveries in the field of nutrition, I even know why this approach to fat loss works so well. 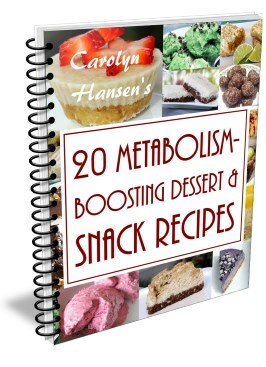 More importantly this work has now produced: 200 Metabolism-Boosting Dessert And Snack Recipes! Now you might think the job of creating such a large number of dishes that satisfy all the restrictions outlined on the previous page would be all but impossible. I certainly would have thought so thirty years ago. If you had told me then that one day I would be the go-to person for highly unconventional fat-burning dessert and snack recipes made only of raw natural ingredients I think I probably would have laughed at the idea. Shown below are just a few of the ice-cold creamy delights I've been able to create despite taking dairy and sugar off the table. These new recipes don't just look as good as the BCM7 and lactose-laden dairy recipes they replace, they also taste every bit as good. Better yet, if you've suffered from bloating and digestion problems and long-suspected that dairy was the cause, you won't believe the way your body will soon be feeling! Believe it or not, these ice cream creations are so healthy that I would have absolutely no problem recommending them for breakfast. And I do! Did you catch the photograph of spinach ice cream shown above? Wonderfully nutritious, and you would have no idea it contained Popeye's vitamin and mineral-rich food of choice if I did not point it out to you - that's how good it tastes. Try feeding this vegetable to your kids any other way and you'll quickly discover just how valuable that little recipe is. What? Did you say zuchini? Why yes, I have a zuchini ice cream recipe too! First I whizz a handful of almonds into a fine powder and tip it into a little glass bowl. The banana and other fruit slices then go into the blender. Then in go the shredded coconut, date(s), protein powder and vanilla essence. Then the liquid (which for me is rice milk). Then simply blend it all until it is thick and creamy. I tip this mix into the bowl with the powdered almonds and stir it well. Pop it into the freezer for about an hour and, presto, it will come out like soft serve ice cream. Even today, after years of whipping up these recipes in my kitchen, it never ceases to amaze me, even with my self-imposed nutritional restrictions, how limitless the possibilities really are for creating delicious, nutritious, and fully satisfying desserts and snacks. That's why I show-cased the sample of frozen treats. Now that you have seen how it is possible to recreate ice cream and cheesecake - WITHOUT having to reach for the dairy - it should be apparent that getting rid of sugar, dairy, eggs and flour, and switching off your oven, will in no way hold you back. In fact it's the exact opposite. Using the techniques I practice you will have unlimited license to produce the kind of foods that promote the best possible health for you and your loved ones. Foods that stimulate your body's built-in fat-burning machinery. Even if the idea of giving up the sugary world of confectionary and rich desserts seems impossible right now because you have been exposed to it for so long, you should know this: I too was once what I would call a dyed-in-the-wool sugar junkie. I never would have believed I could wean myself off what I considered nothing less than an addiction to fat-loving junk food. On the remainder of this page you will find a description of the three recipe books that came out of my quest to radically improve the nutritional quality of desserts and snacks. My goal was to use the five findings described in the first part of this letter to eliminate each of the factors known to promote weight gain in traditional treats. So, without further ado, here are those three titles - created for anyone with a sweet tooth who has struggled to remain trim and healthy because it has always seemed utterly impossible to deny the deep satisfaction that can be derived from comfort foods. Fortunately with this approach you will never be called upon to do that. In short, you really can have your cake and eat it too! Would you be surprised to learn that you can combine almonds, avocados, dates and cacao powder in a food processor to make a rich creamy chocolate mousse? All achieved without a drop of dairy or even a pinch of sugar? How about a "cheesecake" made principally with ingredients like fruit and nuts? The secret to creating these "midsection safe" desserts is to fill them with anti-oxidants, vitamins, minerals, amino acids and enzymes. This makes them quite unlike the desserts you may be familiar with. Yes, your tastebuds will be stimulated with the intense flavors. Yes, your mouth will salivate uncontrollably. But more importantly, when you take a bite from one of these wholesome delights you can take comfort from knowing that by displacing processed ingredients from your diet you will automatically stimlate fat burning triggers in your body. That is what GOOD food does for you. Nor is this something you need to work at, like making sure that you get your daily vitamins and minerals. Because who doesn't like a great-tasting dessert! Remember the "desserts for breakfast" study that showed how it was possible to suppress your sweet tooth cravings throughout the day, and also the tendency to overeat, just by adding a satisfying treat to your breakfast menu? Imagine how much more satisfying it would be to know that instead of using a traditional dessert created with sugar, wheat and dairy you could use a healthy treat to keep you focused on your weight loss goal? If you want to reproduce the "big breakfast" approach to rapid slimming advocated by Dr. Daniela Jakubowicz using any of the 50 Healthy Raw Desserts found in volume one you will get no resistance from me. Personally, I prefer to entirely avoid calorie-restriction strategies and instead go for slow but steady long-term fat loss. Nonetheless, there are times when you may be in need of a kick-starter approach to trimming down, and the nutrient-rich recipes found in this volume are EXACTLY of the kind that stimulate your fat-burning metabolism while at the same time they contain none of the addictive ingredients that Dr. Jakubowicz acknowledges pollute most traditionally prepared desserts and snacks. After the publication of "Volume 1" I discovered that I was far from done with my healthy dessert recipe rolodex. So I went back to my kitchen and my word processor. The result? Another 50 nutritious dessert recipes that will have family and friends begging for seconds. In fact, I suspect you may find these ones even more delicious than the first batch! From ice cream and pudding, to pies, popsicles, parfaits and protein cookies there is something to satisfy every sweet tooth. Once again, you can forget the hidden saturated fats, trans fats, and preservatives that clog your old-fashioned cookbooks. If you want to preserve the health of your family, nothing less than unprocessed foods deserve to make it into your mixing bowl. If you love desserts I think you'll find you definitely want this volume on your bookshelf. Between Volume 1 and Volume 2 of the healthy raw dessert books I was able to come up with more than 100 recipes that my family and I have enjoyed countless times over the years. But the dessert line was actually an offshoot from my original exploration into world of healthy raw snacks and treats. This in turn was stimulated, as mentioned earlier, by my chance introduction to the white chocolate goji fudge that utterly changed my outlook on what was and was not possible to achieve when it came to healthy alternatives to junk food. So in fact the original work I produced on this subject, the one that pre-dates the dessert books by several years, is the next book in this collection. Was it even possible - in principle - to create nutritious treats that can displace the junk food in your refrigerator? That's what I wanted to know. Could I banish Julia Childs' cookbook from my kitchen, start from scratch, and come up with a HEALTHY snack that satisfied my sweet-tooth cravings? It turned out it was possible - in fact, more possible than I could ever have imagined - and these 100 recipes are the proof. As I am sure you know, the typical Western diet is high in simple carbohydrates (easily digested sugary foods), and low in complex carbohydrates (like green vegetables and legumes). What you may only be vaguely aware of is that this poor nutritional content in our diet promotes an overly acidic body chemistry that can lead to acute and chronic health conditions. Needless to say, you don't want that. But those realizations only came later for me. In the beginning I just wanted something sweet to eat that would not trigger a flood of insulin, the fat-storing hormone responsible for weight gain. The good news? The recipes that fill this book fit the bill perfectly. High quality nutrient-rich desserts and snacks, unlike the traditional fare that has long since departed my kitchen, absolutely deserve table space in your home. The recipes found in the volumes discussed on this page have been hand-picked by a health and fitness professional who partakes of them practically on a daily basis. I'm talking about my own eating habits, of course. I have been eating this way for decades now, as do scores of my clients, and I have never felt deprived in all that time. How could I? My body gets every nutrient it needs, just as yours will when you begin eating this way. And just in case I need to spell it out in no uncertain terms, I gave up dieting a very long time ago, not only because diets do not work to maintain your body weight, but because when you are eating the right foods it is completely unnecesssary. Honestly, once you begin to adopt the same principles of healthy eating that I used to formulate the recipes found in my books there is just no need to do so. That's because this form of "clean eating" allows your body to slowly detoxify itself, making it possible to release stores of fat that it has held onto as a buffer to shield itself against the organ-damaging effects of a never-ending diet of processed foods. It's also true that when you partake of desserts and snacks devoid of table sugar, flour, dairy, gluten and processed ingredients, the very idea of trying to satisfy your sweet tooth any other way will quickly lose its appeal. Hopefully that sounds exactly like something you would want for both you and your family. Because it really should! That's how I would describe this set of recipes. You won't find another collection like this anywhere. That's because I am the first person to have taken the time to spell out EXACTLY what is wrong with conventional desserts and snacks - and then squirrel myself away in the kitchen until I was able to emerge with an alternative and distinctly unique approach. Could you do this yourself? Absolutely. But - and I know this from experience - it may take you years to come up with the same quality of recipe that can be in your hands in the next five minutes. That's because I have collected my recipes together and I am making them available precisely so that you can SKIP this unnecessary work. That means NO messing around with guesswork and buying expensive ingredients that may or may not work out as suitable substitutions for the ingredients you are using now that are slowing killing both your health and your figure. It also means NO stressing about whether or not you are making the kinds of mistakes in your kitchen that we "home chefs" have been making for decades without the slightest suspicion that we were going about it all wrong. Why not use the BEST of what I have been able to figure out from years of experimentation to SKIP all the frustration and disappointment that I had to endure to arrive at the right answers? Time-saving. That's another way of describing this huge collection of recipes. That and eye-opening. Because once you begin crafting your food creations according to the new rules you won't want to go back to the old way. You'll realize that you and your family deserve a WHOLE lot more from nutrition than you have been allowing yourself until now. And if I can be the person to help you get started on that journey it will make all the work that I've put into assembling this collection truly worth every minute of my time. Carolyn, You've Convinced Me. My Kitchen Could Use 200 Metabolically-Friendly Dessert & Snack Recipes! If you're ready to make a lifestyle change today and allow me to show you how to accommodate your sweet tooth desires without sacrificing either your long-term health or the ability to maintain your ideal body weight, I want to congratulate you. You are making a very wise decision, and your body will reap the nutritional benefits. Of course, this is true of everyone for whom you prepare food too! Download ALL 3 VOLUMES of right now, risk free. If these recipes aren't everything I say they are - if they aren't everything you HOPE they are - just tell me and I'll give you a full refund. You have 60 FULL days to decide. You get instant access to all 3 volumes of this healthy eating series through a safe and secure online payment form. Just click the order now link in the next section and in less than 2 minutes you'll be planning your first batch of my mouth-watering desserts and snacks. Good news! Right now you can grab the complete 3-book series for just $27 This represents a discount of 50 percent! See the order button below, and grab your copy while the discount lasts. Finally, A way to rid yourself of junk food forever without having to say goodbye to desserts! Are these low calorie recipes? Not especially. The idea behind these recipes is to provide you with desserts and snacks that have a high nutrient density as this will stimulate your metabolism. The problem with traditional desserts is that they tend to be high on calories but low on nutrients (which causes you to feel unsatisfied so you eat more to try to compensate and end up lowering your metabolism). Are these low fat recipes? Again, not especially. But the fats they do contain are the kinds of healthy fats that your body needs to function optimally. You should not be afraid of eating fats, just do your best to avoid the unhealthy fats (which do NOT appear in these recipes). That's a very good question. The answer is: probably. I think it depends on who you ask and what their definition is of what constitutes a paleo diet. If your definition of a paleo dessert is that it should contain no wheat (no gluten), no dairy, no sugar, and no processed ingredients of any kind then yes, I think you could consider these to be "paleo dessert recipes". Can I get fat eating these desserts? If you eat in excess, then yes, absolutely you can gain weight eating these desserts and snacks. However, you are much less likely to want to eat to excess if you are using metabolic recipes to create your desserts, rather than the traditional low-nutrient recipes that contain empty calories. Are these recipes safe for diabetics? There are NO dessert recipes of any kind that are both sweet and 100 percent free of potential side-effects for people who suffer from blood sugar irregularities. However, the recipes featured on this site contain NO table sugar or high fructose corn syrup which can be very destabilizing to blood sugar levels. But the recipes do contain alternative natural sweeteners, like dried fruit, honey, raw agave syrup, and stevia. These are LESS likely to cause blood sugar swings, but are not guaranteed to be problem-free to diabetics. The best advice would be to use LESS sweetener than recommended in the recipes and work your way to higher levels if that seems both desirable and you feel confident it causes you no problems. How much work do these recipes require? Very little effort is required to bring these recipes to life. You can literally whip up most of these dessert and snack recipes in 15 minutes or less. Even then your blender will be doing most of the work. And because you will typically be using your refrigerator/freezer rather than your oven to "cold bake" the final result it is pretty much impossible to botch any of these recipes!